Harrison Tax Services is a family owned and operated, full service accounting firm. We offer professional Bookkeeping services tailored to each individual client's needs as well as personal Income Tax preparation. There is no one-size-fits-all business plan here, just professional people who want to help you run your business without all the headaches that come from filling out all those government forms. Browse through our website for a summary of what we have to offer, then call us for a no-cost consultation to see if we can help you. 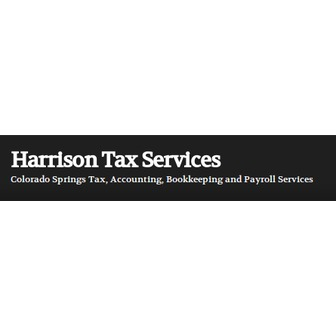 Darryl Harrison began Harrison Tax Services in 1972 after several years working for another accountant here in Colorado Springs. His goal now is the same it was then; to provide the needed tax services to small businesspeople and individuals alike. His philosophy then and now is that we should all pay all required taxes and not one penny more. His knowledge and insight is an invaluable resource for our local business community. Daryle England has been preparing Income Tax returns for us many years. His knowledge of the ins and outs of both Federal and Colorado Income Tax law is a great resource for all of our clients. Terry White is our lead Bookkeeper. She has been working with us since 2003 and provides outstanding bookkeeping and payroll services tailored to each specific client. Allen Kirby is our most recent addition. He represents clients with IRS collections issues. Allen is a retired IRS collections agent and his knowledge of the inner working there is invaluable. Kirk Harrison joined us in 2007 after many years pastoring in the Midwest. Immediately before joining Harrison Tax Services, Kirk was involved in sales and management at a large auto conglomerate in Indiana. He is our office manager and also in charge of sales and marketing. If you have questions about our services or for a detailed quote, please contact him. Patty Harrison is a part-time bookkeeper and payroll specialist who joined us in 2009.